Dont miss this one! 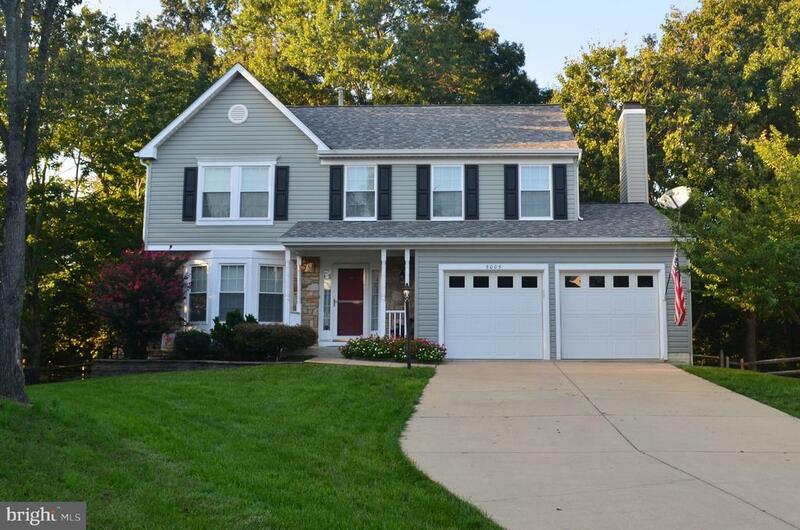 This home has been METICULOUSLY cared for & has upgrades galore! Enjoy living on a cul-de-sac, with a long driveway for parking. Walk through the inviting entrance to the main level with hardwood flooring & separate dining & living room with French doors. The kitchen has new stainless steel appliances & breakfast area that opens to a cozy family room with fireplace. All baths in the home have been updated, including the beautiful master bath with shower & separate tub, that was re-done in the past month! New carpet upstairs was just installed in April. The basement has a finished recreation area, bath rough in & plenty of storage space. Also all NEW within the past 5 YEARS-HVAC System, all siding & gutters with leaf guards, & all windows throughout the home! The ROOF is also only 2 years old! Enjoy the peaceful fenced in back yard with deck, that looks onto the community lake. Within walking distance is the large community pool to spend your hot summer days, tennis courts, & a nice playground. You will want to call this one home! Directions: From North take Rt 301 South St Patricks Dr-Right, St Phillips-Right, Dorchester Circle-Left, Manta Ct-Right.